AERIAL SILKS is an exciting new fitness activity combining circus, dance and gymnastics. The workout is not only lots of fun, but involves the full body - building flexibility, strength and confidence. Classes start with learning how to climb the fabric in a variety of ways; then how to lock, wrap and secure yourself in the material; before moving to stunning poses, adrenaline -pumping drops, and gravity-defying tricks. Lose yourself in the fun of practicing aerial silks with this six week intensive and come out feeling stronger and fitter than ever before! The total cost of the course is $180 and full payment is required upon enrolment. Spaces are limited and these courses do sell out quickly. Please ensure you can attend all classes (there is often a waiting list) as we will not refund you if you do not attend. *This course is not suitable for pregnancy. If you have any injury concerns please get in touch to discuss. *Once you have signed up and paid we will email you with additional course information closer to the date. Hayley is an experienced and qualified aerial trainer with over seven years’ experience in aerial silks. Owner and Director of Elation Aerials, Hayley has been teaching and performing aerial silks in Townsville for the past four years. She is also the founder of, and performer in The Vertigals, a Townsville-based group of performing aerialists. 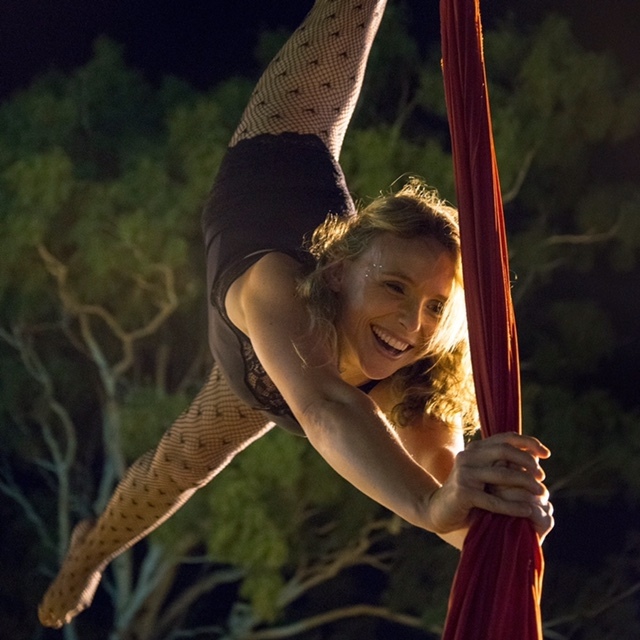 Hayley has qualifications in teaching aerial silks, trapeze and lyra from Circus Training Australia, and has a background in teaching and training with a Cert IV in Training and Education.